Aside from having an enhanced resale value potential for those wanting to sell their homes, homeowners who have the intention to continue living in their home and not sell it can also enjoy the many benefits that exterior home improvements provide. Rockland County Handyman is a professional exterior home improvements company that provides top quality improvements for your home's exteriors at competitive rates. We perform a thorough assessment of the exterior features and aesthetic attributes of your property. We then provide a free in-depth consultation to go over various ideas. Together we'll discover which improvements and upgrades are best suited to embrace your personal style. Believe it or not, a front door says a lot about you and your home. A high-quality front door can be a huge asset for your home's value and security. A curved walkway made with well-worn pavers offers your home some unique flair. A sheltered space, like a porch can improve the aesthetics of your property, enhancing curb appeal with a stylish entrance to your home. It becomes the main focal point from the outside and could even add value to your property. Choosing windows for your home is not always easy, it's important to be aware of current window trends when updating your home. Keep your home in-style with new windows, accessories and window treatments. 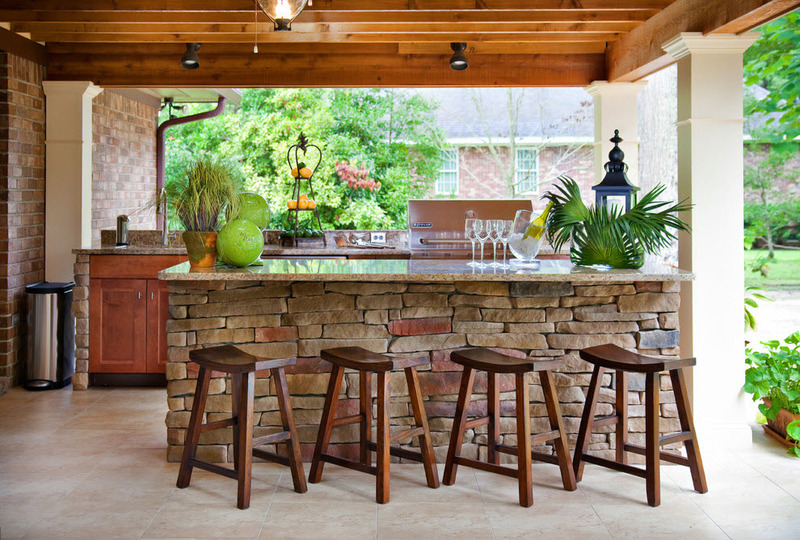 Create an incredible outdoor living space to relax with family and entertain your friends. Possible options include: An Outdoor Kitchen with Grilling Station, Artisan Pizza Oven, Outdoor Fireplace, Granite Slab Countertops and Bar Area with Built-In Beverage Cooler, Natural Stone Patio Pavers – the possibilities go on and on! Siding options can be overwhelming, but one of the most common choices is insulated vinyl siding. This is because it provides attractive, long-lasting protection while reducing outside noise by up to 45 percent. Privacy fences can be beautiful and unique while maintaining their original purpose – to protect your privacy. Exterior home improvements are some of the smartest upgrades you can make! Whether you're planning to sell your home and need to improve its curb appeal, or you want a more functional and relaxed environment for your family – we can make it happen for you!